"The Sweep That Does It All!" Serving the Metro Atlanta Area! 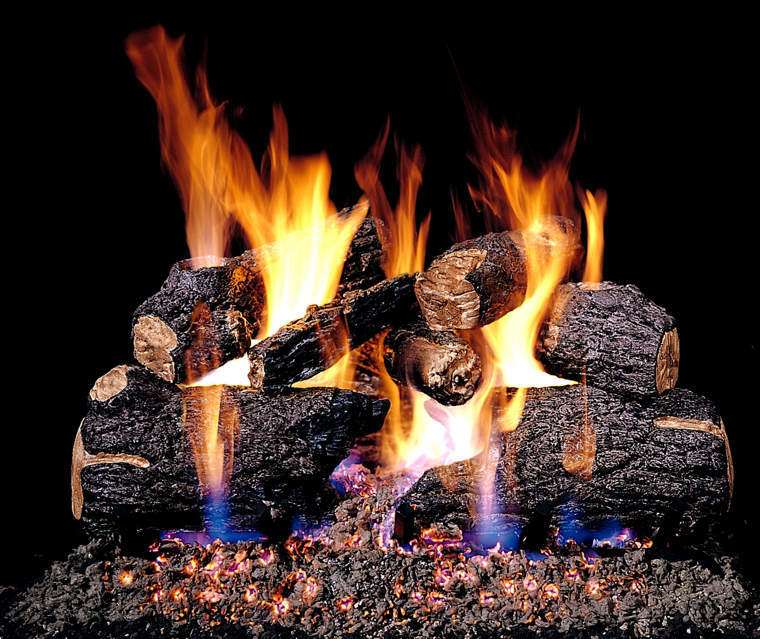 We at Custom Chimney Heating and Air have been dealers for RH Peterson logs for more than 20 years. We chose this log because it is by far the best log out and at a descent price. You can spend a lot more money and still not have a set of logs this good, nothing compares. It put’s out more BTU’s than most logs out on the market today there are some that match the BTU’s but none that exceed them. (Which means you actually get heat off of them) and in our opinion it’s the most realistic log on the market plus it comes with a lifetime guarantee. If one of your logs crack you just take a picture of it and RH Peterson will replace it no questions asked. Can’t beat that. Changing from wood burning to gas logs this is what is recommended. 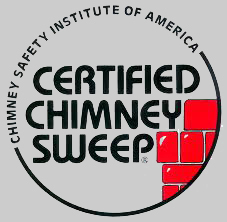 Get your chimney swept and evaluated, most people think that because your switching to gas logs that this doesn’t need to be done. Not true, Creosote has built up in your chimney from burning the wood and is still dangerous, not to mention the fact that you will get an odor from them if not cleaned. If you have a older Pre-Fabricated fireplace you will need a Vented log, the older Pre-Fabricated fireplaces are not designed to withhold the heat that a vent free log puts out and it could cause your liner to buckle from the heat which could get to combustibles and burn your home down. Some of the newer pre-fab fireplaces will allow a vent free log in them but you’ll have to check with your manufacturer. If you have a newer fireplace and it says decorated appliance only that means vented log only. THIS FIREPLACE WAS NOT TESTED BY THE FIREPLACE MANUFACTURER FOR USE WITH AN UNVENTED GAS LOG HEATER. DO NOT INSTALL AN UNVENTED GAS LOG HEATER IN THIS FIREPLACE. USE OF AN UNVENTED GAS LOG HEATER IN THIS FACTORY-BUILT FIREPLACE MAY CREATE A FIRE HAZARD THAT CAN RESULT IN A STRUCTURE FIRE. WHEN USING A GAS LOG SET, THE FIREPLACE DAMPER MUST BE SET IN THE FULLY OPEN POSITION. THIS ENSURES A PROPER VENTING OF COMBUSTION PRODUCTS. This is important because you don’t want your log to be so small that it looks lost or too large that it looks crammed in there. Pull back your spark screens (there the screens you pull back to put your wood in) and on the sides if it’s a pre-fab fireplace will be what’s known as refractory brick it looks like brick panels. At the very front of your fireplace the widest part where the screens are you want to measure from right to left brick to brick. You do not have to crawl inside your fireplace and measure the back or length because they design the logs to taper back. If your wanting a remote for your logs it would be best to call the professionals at Custom Chimney Heating and Air with your measurements so they can let you know which size log fits in your fireplace, for this is a little more difficult for measuring. More space is required. Remember this important information because unfortunately if your not going with a log from Custom Chimney Sweeping a salesman will sell you anything. They are not educated in gas codes; we can’t even install a vent free log in a pre-fabricated fireplace that is not designed especially for vent free gas logs. If your house burns down from installing the wrong log and it can and has happened. The insurance company has the right to deny that claim, because it is an improper install. If you have a properly functioning masonry fireplace you can install either vented or vent free gas logs although I think you’ll be happier with a Vented log, your choice. Now the problem with masonry fireplaces is that unless you had your home built and told your builder you were planning on putting in gas logs at that time, here’s what happens. They install a smaller gas line that is only designed for a log lighter and that is just to get your wood going and then turn it off. So we have to come out and evaluate the situation and we might have to tear out your brick to make that gas line orphus larger so that you can have a gas line that will work with what is called a burner otherwise it’s like holding a match up to your gas logs. No flame. No good. Hire a professional! 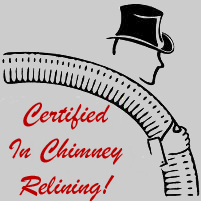 Here at Custom Chimney Heating and Air we have all the tools and knowledge to get you set up. There is definitely an art to installing logs, if you think you can do it yourself well maybe your right, but there is a placement situation not only with the logs but the sand, vermiculite and the granules and if you break anything in the gas line (which people do all the time) you’ve got bigger problems. A lot of people are surprised that plumbers don’t do gas log installation, but they don’t that is not there area of expertise it’s ours. 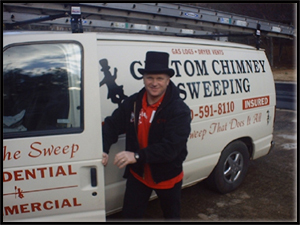 Avoid the headache and call the professionals at Custom Chimney Sweeping right the first time every time. Read what our customers are saying!!! !